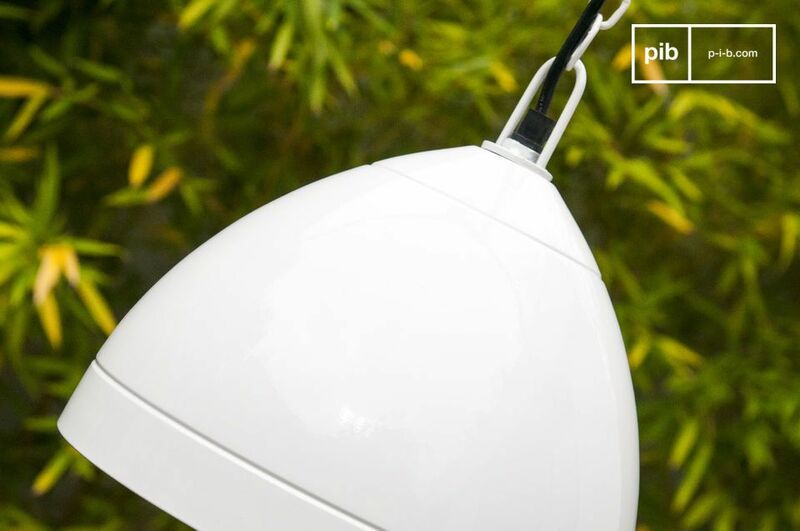 The Këpsta hanging light is made entirely out of metal, blending Scandinavian simplicity with an attractive interior color. 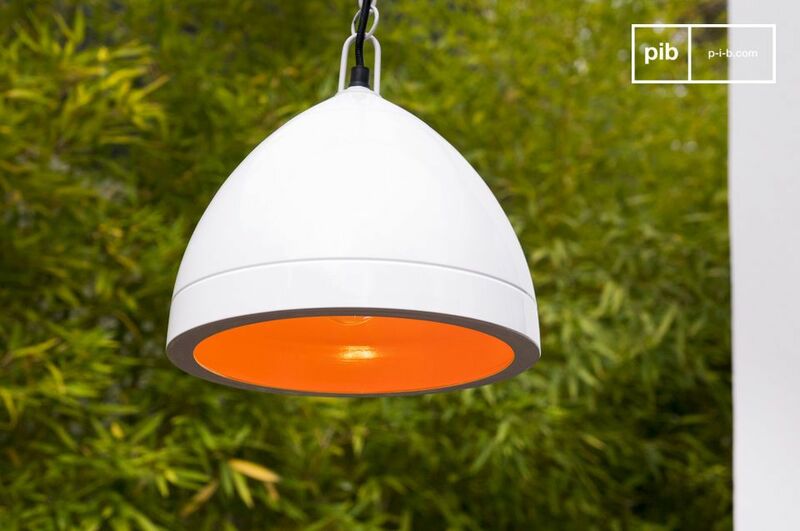 It provides a beautiful contrast between the glossy white exterior and the interior of the lamp that is coloured in orange. Once the light is turned on, the inside colour of the lamp gives a particularly warm tone to the light reflected by the Këpsta. The braided power cable wrapped in black textile is placed next to a steel chain which has the same finish as the lamp. 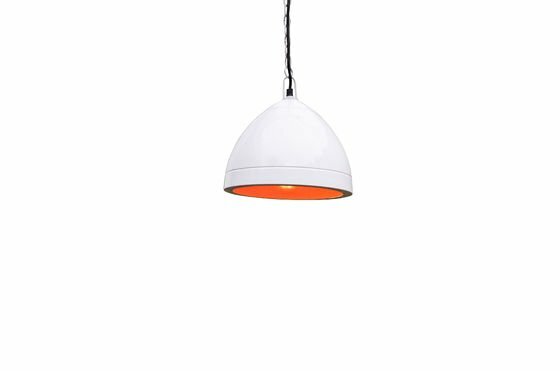 The Këpsta hanging light is a beautiful item to add to your interior as it is subtle whist still adding a touch of colour. 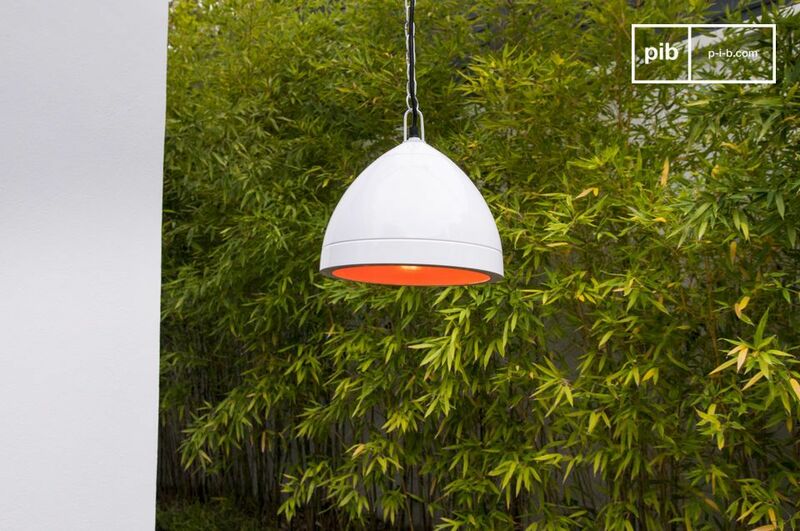 The Këpsta hanging light is also available in the colours red and black.